Homo sapiens evolved over the last million years during which time the climate fluctuated strongly. Ice accumulated and melted again, exposing and flooding the continental shelves - land which was colonised by plants and animals. About 3000 such prehistoric sites with archaeological remains have been found on the sea floor by divers. Dr Nicholas Flemming is a marine geo-archaeologist from the Institute of Oceanography at the University of Southampton. Dr Flemming was Director of the British national oceanographic data centre from 1980 till 1987 to take later the position of the chairman of the IODE Committee of the IOC which he occupied till1992. He was Director of EuroGOOS Office and Member of the GOOS Steering Group until 2001. Dr Flemming&apos;s book, co-edited with Amanda M. Evans and Joseph C. Flatman, Prehistoric Archaeology on the Continental Shelf, was published in 2014. This evening I want you to get used to going backwards in time. We will start at about 2500 years ago, and accelerate backwards to 1 million years ago during the next hour. That makes approximately 15,000 years per minute, going backwards, and most of the journey is underwater. Also, I plan to dart about the world visiting every continent except Antarctica, so I am assuming that your geography is pretty good. Everybody has read about underwater cities at some stage, and most people are aware that there are flood myths in almost every cultural tradition. I am going to start with standard underwater Greek and Roman cities in the Mediterranean, and then work backwards through the Bronze Age, Neolithic, Mesolithic and Palaeolithic, finally considering the earliest Stone Age cultures, in that order, and always on the floor of the sea. The material traces of previous cultures and their technologies become less substantial and more difficult to interpret as the time into the past increases. But there is so much to discover and to learn, especially about how people crossed between continents now separated by the sea. Sites on the sea floor can also preserve organics such as wood, rope, leather, and food remains which are less usual in prehistoric sites on land. The story will blend my own research and diving projects, which followed that logical time-sequence backwards in time, and draw in the work of my colleagues as we go along. I have provided academic references for key publications in the normal academic format in this transcript, and blended these with an extended general reading list which are not cited in the text; credits for photographs of other people’s work are given either on the images or at the end of the stored version of the graphic presentation. After military service in in the Royal Marines, where I learned useful arts such as oxygen diving, beach survey at night, parachuting into the sea, ski warfare, and how to blow up ships and bridges, I spent the summer of 1957 diving in Corfu, exploring underwater caves, and then started my degree at Cambridge reading maths, physics and chemistry, the so-called Science Tripos. With fellow undergraduates we founded the first University Branch of the British Sub Aqua Club, and in summer 1958 a team of 8 divers travelled to Libya to survey and study the submerged Greek city of Apollonia, the ancient port of Cyrene. Apollonia was founded in 635 BC. This survey was followed by a second season in 1959 with underwater research both in Sicily and again at Apollonia. The maps and interpretation of the finds are reported in Flemming (1959, 1962, 1964, 1971). From the depth and function of different buildings we could calculate that Apollonia had submerged by about 2.4m, although the position of some buildings on top of others suggested several stages of reconstruction as the relative sea level changed. In the winter 1958-59 I decided to find out whether the global sea level had risen in the last 2500 years, or whether Apollonia had sunk due to local earthquakes. I visited the National Institute of Oceanography (NIO) in Surrey, to meet experts and consult the library. Fifty six years later we are still tidying up the details of the answer to that question. The area of the Libyan coast around Apollonia was prone to earthquakes, but there were also tentative but widely-accepted theories that the sea level in the Mediterranean had risen by 2m since classical times, so it seemed to be a bit of both. My research at that time was slow and erratic, and you must realise that Carbon-14 dating had only just been invented, and was still rare and expensive; there was no globally accepted sea level change curve for the post-glacial (post Ice Age) period; we thought that there had only been four glaciations and they were undated; plate tectonics had not yet been discovered; and the theory of Glacial-hydro-Isostatic Adjustment (GIA) was decades into the future. I decided that underwater research in caves and drowned cities was more interesting than physics, and in 1960 I was accepted at Cambridge to research a thesis for a PhD degree on the subject of relative sea level change in the western Mediterranean, supervised by Dr Richard Hey in the Department of Geology. The objective of my thesis was in two parts: firstly to show that submerged caves down to a depth of 50m or more in the Mediterranean would reveal the history of climate change and sea level change during the Ice Ages, and secondly to check whether there had really been a uniform rise of sea level of 2m during the last 2000 years. The results of the cave diving research were positive and successful, but do not concern us any further here this evening. For the coastal classical cities, my proposal was simple: if the sea level had risen 2m, then every classical coastal city had to show exactly the same amount of submergence at the same date. If the cause of relative submergence (or uplift) of classical ports was local earthquakes, as I suspected, then the distribution would be very varied in place and magnitude, and the larger vertical displacements should be concentrated in areas of geological instability. Since I had already compiled a catalogue of over 1100 ancient ports on the Mediterranean coast, I decided to check every one in the western Mediterranean first. To cut a long story very short, I completed my survey of the Western Mediterranean for my thesis in 1965, and the results were published by the Geological Society of America (Flemming 1969). During subsequent years up to 1980, while I was working at NIO, I continued to collect field data on classical ports in the eastern Mediterranean and Aegean (Flemming 1978), publishing the results on a total of 425 ports in 1986 (Flemming and Webb 1986). In the intervening years I collected data on uplifted and submerged classical ports in Crete, Cyprus, Turkey, Israel, and Tunisia. Broadly speaking, the field data confirmed my original hypothesis that the cause of submergence and uplift of classical ruins in the Mediterranean was primarily due to local earth movements, which could be associated with Plate Tectonic boundaries, volcanism, and deltaic subsidence, to within an error of +/- 0.5m. The majority of ancient ports showed no vertical displacement at all to within the error of +/- 0.5m and sometimes much less. That last uncertainty of about 0.5m eventually turned out to be very significant, because a number of authors studying the effects of the weight of ice sheets during peak glaciations (e.g. Peltier, Clark, Lingle, Lambeck, Shennan) were at just that time showing that the whole globe responds and is distorted by the movement of mass from the ice caps to the ocean, and back again during an Ice Age cycle of about 125,000 years. By the mid-1990’s it was clear that this meant that there was a small broadly sweeping factor of the order of 0.2-0.5m of remnant coastal subsidence in the last 2000 years (not global sea level rise) in the Mediterranean, due to the added weight of the water on the oceanic crust following the melting of the ice caps 20,000 years ago. The earth’s crust takes thousands of years to respond to the redistributed weight of ice and water and reach a new equilibrium. This is the process known as Global-hydro-Isostatic Adjustment (GIA). The statistics of this complex interaction of processes continues to attract experts in many fields, and the understanding is being continually refined (e.g. Tsimplis et al. 2011). In 1967, during my survey of southern Greece, I found the submerged Bronze Age town of Pavlopetri (Flemming 1968; Harding et al. 1969). This discovery reinforced an idea that had been brewing since my first exploration of caves in 1957. If the continental ice caps at the peak of the Ice Age had withdrawn so much water from the ocean that the sea level fell by about 135m, surely peoples in the Stone Age must have lived on the exposed continental shelf. I first published this idea in 1962 (Flemming 1962, p.171) suggesting that it was a research frontier to be attacked. Other scholars had had the same initial insight decades before me, but they had not imagined that one could take the idea and turn it into a positive planned program of exploration and discovery which would deliberately set out to find, map and excavate drowned Stone Age settlements and cave dwellings. They assumed that finds of prehistoric antiquities on the sea floor by fishermen were pure chance and very unusual. I decided that the technology of acoustic mapping of the sea floor, combined with cheap and flexible diving methods gave me the opportunity to collect data systematically to demonstrate the full scope of human occupation of the continental shelf. I was also convinced that the process of inundation by rising sea level would not always destroy prehistoric settlements, and that a sufficient number of sites would survive to be significant for professional archaeological analysis and cultural interpretation. Although my research activities, and administrative responsibilities, have ranged over a number of different topics in the last 40 years, I have returned repeatedly to this theme. During the same period, a number of researchers in different countries have been developing the same idea independently, and in the last 10 years, we have been working together at a European level, and sometimes globally. The peak glacial low sea level 20,000 years ago was 135m lower than at present, and the exposed area of the continental shelf added 40% to the land area of Europe. When the ice melted the sea rose to its present level about 5000 years ago, which date coincides with the transition from Neolithic to Early Bronze Age in the Mediterranean. Thus, other things being equal, Late Bronze Age and later Classical and Roman coastal cities should be close to present sea level (plus or minus the effect of earthquakes and GIA), while older settlements which had originated on the coast would necessarily be underwater, and progressively older sites would be deeper in the sea, down to 135m. In 1967 I made a simple sketch map of the centre of the submerged town at Pavlopetri, and took a single reel of 35mm underwater photographs of the main walls, and some of the box graves. Back in London with this information I was able to convince myself, and then others, that the ruins were those of a typical Bronze Age town, submerged by about 5m. 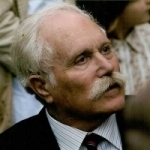 The Greek Ephorate for Underwater Archaeology issued a permit for a single season of diving work in 1968, and the project was led by Anthony Harding. I visited the team of Cambridge University divers while I continued my survey of the western coast of the Peloponnese, and the more inaccessible parts of the Mani. The superb map compiled by the team in 1968 was published the following year (Harding et al. 1969). Forty years after the discovery and mapping of Pavlopetri, and with other research projects completed and published, I decided to return to the site in 2007 and check how it had survived. During the intervening decades I had discovered by revisiting known ruins that many coastal archaeological sites were being degraded by erosion or built over or surrounded closely by inappropriate modern developments. To my surprise and pleasure I found that the central area of ruins at Pavlopetri, the main intersection of the streets, and one of the ceremonial public buildings, were all intact. The sea floor looked rather different, somehow grey, grubby, and lacking in fresh colours, but the ruins had survived. I concluded that the ruins needed re-surveying to modern standards, and that the encroachment of tourist hotels, cafes, and nearby car-parks required a renewed effort to protect the site. The British School at Athens negotiated with the Ephorate of Underwater Antiquities of the Hellenic Ministry of Culture and obtained a permit for a 4-year joint-project survey and limited excavation starting in 2009, to be led by Dr Jon Henderson of the University of Nottingham. I visited Pavlopetri with Jon in 2008 to make a brief reconnaissance, and then the main work started the following year. I participated for a short period each year in the survey work in 2009 -11. The team used a wide range of modern techniques, sector-scanning sonar, side-scan sonar, Total-Station, diver-propelled digital photogrammetry, and GPS-controlled digital photogrammetry using an autonomous underwater vehicle (AUV). The research team included a number of Greek scholars and students, and diving archaeologists from the USA, UK and Australia. The authorities in the local town of Neapoli and in the nearby villages were strongly supportive. Preliminary results have been published (Henderson et al. 2011), and a 1-hour film was made by the BBC. The earliest pottery sherds found on the seabed showed that the settlement had probably been founded in the Late Neolithic, around 5500 years ago, before the beginning of the Early Bronze Age. After the first mapping of Pavlopetri in 1969 I worked in Israel as a guest professor at the University of Haifa in winter 1975-76, and working with Elisha Linder, Avner Raban, and Ehud Galili, began to plot the age and depth of Bronze Age and Neolithic settlements on that coast. Galili’s amazing discoveries of complete villages 8000-10,000 years old on the sea floor off Atlit (Galili and Nir 1993; Galili et al. 1993) convinced me yet again that there was no age boundary to the possible survival of Stone Age sites under the sea. In 1981 I was invited by Nikos Efstratiou and Cathy Giangrande to map the underwater portion of the early Mesolithic site at Aghios Petros, in the Sporadhes, almost 10,000 years old. During the 1970’s and 80’s researchers in northern Europe were beginning to look at the same period under the sea, collecting finds from fishermen who had trawled them up from the North Sea or found by divers in the shallow waters of the Baltic (Louwe Kooijman 1972; Skaarup 1980; Andersen 1980). By this time the number of professional archaeologists and geologists or marine scientists working systematically but separately on submerged prehistoric sites had reached the point that I thought a global conference was justifiable. Divers in Florida had for decades been exploring sink-holes and freshwater caves containing palaeo-indian remains back to 9.000 years old; James Dunbar was finding stone artefacts submerged in the Gulf of Mexico; Pat Masters was re-examining the anecdotal evidence for palaeo-indian sites off the California coast; John Gifford had studied the early Neolithic signs in 5m water depth 300 m offshore from the Franchthi cave in Greece. So Pat Masters and I co-hosted a conference at the Scripps Institute of Oceanography in California in autumn 1981. The results were published by Academic Press (Masters and Flemming 1983). Although the data were sometimes sketchy, widely distributed on the surface of the globe, and did not extend back more than 10,000 years, the evidence was incontrovertible that prehistoric Stone Age sites without solidly laid stone walls and dressed masonry could survive the rise of sea level after the Ice Age glacial maximum. Also, they could do so in widely differing geomorphological and oceanographic conditions. During the 1980’s and 90’s divers in the Baltic exploring between the Danish islands found hundreds of submerged Neolithic and Mesolithic remains and villages (Fischer 1995; Pedersen et al. 1997). In 1982 I was invited by Arthur Weller to put together a ship-borne project in North Australia to examine the original Aborigine crossing from Indonesia to Australia at least 20,000 years ago, and Arthur established a charitable trust to fund the project. We chartered the specialist dive support boat Reef Explorer, and recruited a team of divers from Cambridge University, and several Australian institutions. The chief archaeologist was the late Rees Jones who had established that the earliest sea crossings to Australia could be as old as 30- 50,000 years. During April-May 1982 the Reef Explorer sailed out of Darwin to support the diving team on the Cootamundra Shoals, 200 nautical miles offshore in the Timor Sea. The sea depth was a uniform 36m over extensive plateaux, which were eroded and incised with deep karstic valleys descending to 100m or more. One central shoal rose to a shallowest depth of 15m. We identified fossil coral reefs on the edges of the platform, where it descended into the valleys, and found submerged caves and cliffs, associated with ancient shorelines. The appearance of this area 20,000 years ago would have been very similar to the modern islands of Bathurst and Melville, just North of Darwin, which are Aborigine Council Land Trust areas. This period time span 20,000-50,000 years ago also covers the earliest probable occupation of the Bering continental shelf by tribes from Siberia, leading subsequently to migration into the Americas, both through central Canada as the ice sheets melted, and probably along the coast before it was possible to cross the ice cap. The routes are still uncertain, although it does seem certain that people reached Monte Verde on the coast of southern Chile by about 14,000 BP. In order to obtain first-hand knowledge of part of this migration route my wife and I took an “Expedition Cruise” from Petropavlovsk in Kamchatka to Seward in Alaska in 2013, visiting several of the Aleutian islands and landing from Zodiac inflatable boats. I was able to obtain data on the minimal rates of uplift of the islands, thus confirming that the coastline at the period of possible first occupation is still submerged. Still addressing the Palaeolithic period 20,000 back further to about 120,000 BP Geoff Bailey and I, with Abdullah Alsharekh, an archaeologist from Saudi Arabia, started planning in 2004 to investigate the reality or otherwise of a possible human crossing of the southern Red Sea during the Ice Age low sea level. Based on those environments that I knew from experience were likely to favour the preservation of ancient prehistoric remains in sheltered locations on the coast, I suggested that this research should focus on the Farasan Islands, close to the Saudi-Yemen border. In 2005 we conducted a reconnaissance of the islands, and under the guise of various projects and acronyms diving research has continued on the islands in most years since 2006. Geoff Bailey is now leading a large project called “DISPERSE” which has included numerous diving surveys, coastal studies on the mainland, and oceanographic and acoustic data gathering from the Greek HCMR vessel “Aegaeo”, (Bailey et al. 2007; Lambeck et al. 2011). In 1985 I read in the NIO Library an extraordinary report by two French scholars, a geomorphologist and an archaeologist, on finds by divers off the small village of Fermanville, near Cherbourg (Scuvée and Verague 1978). The report was cheaply produced on spongy paper and published by a provincial press, but the implications were amazing. The authors had employed divers to search the sea floor at a depth of 20m at the foot of a submerged cliff about 0.5km offshore and recover many hundreds of Middle Palaeolithic tools, which have since been dated to the period 100,00-50,000 years BP (Cliquet et al. 2011). The report presented a new integrated model of submerged site analysis, considering the solid geology of the region, Ice Age sea level change, erosion and deposition of sediments, the source of material for the worked flints tools, and the process of burial and survival of the archaeological relics. For many years I repeatedly cited this revolutionary report in my own publications, but I never met anyone else who had read it. In 2007 I decided that the time had come to track down the authors of the Fermanville study, and establish what had happened since. I met Verague at Cherbourg, who gave me a guided tour of the shoreline around Fermanville, and introduced me to Dominique Cliquet in Caens, who, as regional archaeological officer, had taken responsibility for the continued work on the underwater site. Sporadic work had continued at intervals of a few years, with fresh dating of the artefacts, but the regional French team seemed unaware as to the significance of their superbly preserved underwater site, and its function in showing that sites of such an age, 100,000 years or more, could survive a complete glacial cycle of sea level fall, peri-glacial climate, followed by inundation. On the European scale, Fermanville is extremely important. A fresh intensity of diving mapping followed, and a series of new publications (eg. Cliquet at al. 2011). Further mapping of the site topography by high resolution acoustics is now being considered, with the possible involvement of the French marine research centre, IFREMER. In 1995 I was invited to a diving science conference in Cape Town. I intended to explain to my audience that it was important that they should consider research on the Agulhas Plateau, since this area would have been dry land during the Glacial Maximum, 20,000 years ago, and they might discover traces of human cultures living on the continental shelf, and linked to the large occupied caves still found on dry land close to the beach. In the bar, the evening before the lecture, Bruno Werz came up to me and showed me an Acheulean Handaxe, at least 100,000 years old, that he and his diving team had found by accident when excavating a Dutch East India shipwreck in Table Bay. I adapted my lecture to take this astonishing find into account, with all the credit to Bruno Werz, and afterwards we discussed the importance of his finds, and arranged to analyse the earth on the seabed under the sand where the handaxe, with two others, had been discovered. Comparison of the axes with others found on dry land in the area showed that they could be 500,000 years old, or even more. They had sharp edges, and had not been rolled down a stream, or in the surf. We decided to publish a joint paper, and although the paper was rejected by Nature, we successfully published in the South African Journal of Science (Werz and Flemming 2001). This find proved finally that stone tool deposits in unconsolidated soils could survive multiple glacial cycle marine transgressions, and that the whole process of hominin crossings of seas and hominin occupation of the continental shelf could potentially be deciphered, over years to come. Nobody could say again that everything would be destroyed and scattered by the storms and rising seas that struck an archaeological prehistoric site. Back in Europe the pace continued to accelerate. In 2002 I was contracted by the UK Department of Trade and Industry (DTI) to write a report on the prehistoric potential of the floor of the North Sea. This was followed by a series of contracts, some with other collaborators, to write similar assessments of all the UK adjacent seas. This led to a conference in 2003 which I organised in London, and an edited book published in 2004 (Flemming 2004). I began a series of regular visits to the Netherlands, Germany and Denmark to link up with scholars and fishermen who were finding many human prehistoric remains both in the North Sea and the Baltic. In 2009 a joint research agreement was published between UK English Heritage and Dutch Heritage Agency, and then, also in 2009, a dredger landed its cargo of gravel in Holland which proved to contain 28 Acheulean handaxes, which were dated to about 70,000 BP. The site was scheduled for protection in the UK sector, and when studied by Wessex Archaeology they found human indicators at a lower level in core samples dating to 340,000 years BP (Wessex Archaeology 2011). During these years it became increasingly apparent that a new field of marine archaeology had come of age. With Dimitris Sakellariou from the Hellenic Centre of Marine Research, and Geoff Bailey from the University of York, we established the “Deukalion Drafting Group” to prepare a project proposal at European level requesting funds from the European Commission Framework 7 budget. In the event, Geoff Bailey co-ordinated a proposal for a COST Action (TD0902), Submerged Prehistoric Landscapes and Archaeology of the Continental Shelf “SPLASHCOS”, which ran from 2010-2013. This was highly successful, with over 150 participants from 24 European countries, culminating with a major conference at Szczecin in Poland in September 2013. Two further books written by SPLASHCOS participants are in advanced stages of preparation. The SPLASHCOS Action funded by the COST Office in Brussels provided infrastructure funding from 2010-2013 for students and researchers from European countries to collaborate and share data and experience on their research in submerged prehistoric research. Two books will be published from this exercise, one describing the conditions that help to preserve submerged prehistoric sites on the sea floor, and the second describing the range of sites that have actually been found off the coasts of each European country. The European Marine Board has acted on the research findings of SPLASHCOS to establish a one-year Working Group in collaboration with the European Archaeology Council which will recommend a future research strategy, suggesting targets for research jointly by marine scientists and prehistorians, and proposing mechanisms and institutional structures to achieve the objectives. At the same time, the European Marine Observation and Data Network (EMODNET) of the EC Directorate General for Marine Affairs and Fisheries (DGMARE) is starting to consider prehistoric archaeological data in its programme for integrated mapping of all the key factors of the European seas. Researchers from many disciplines are now collaborating to gather seabed data which will help to understand how early peoples first developed sea-craft, when the exploitation of shellfish and sea fish first occurred, and how hominins and modern humans crossed the Red Sea, the Channel/North Sea, and the routes into Australia and the Americas. The sites described in the lecture Powerpoint, and in these notes, are a small selected fraction of the total range of seabed prehistoric discoveries, but I hope that I have convinced you that this is an exciting field of research with a fascinating future. Andersen, S.H. 1980, Tybrind Vig. Foreløbig meddelelse om en undersøisk stenalderboplads ved Lillebælt. Antikvariske Studier 4. Fredningsstyrelsen. København. Bailey, G.N, and Flemming, N.C. 2008. Archaeology of the continental shelf: marine resources, submerged landscapes and underwater archaeology. Quaternary Science Reviews. 3-24, 2153-65. Bailey, G.N., King, G.C.P., Flemming, N.C., Lambeck, K., Momber, G., Moran, L.J., Al-Sharekh, A., and Vita-Finzi, C. 2007. Coastlines, Submerged landscapes and Human Evolution: the Red Sea Basin and the Farasan Islands. Journal of Island and Coastal Archaeology. 2, 127-160. Cartajena, I., Lopez, P., Carabias, D., Morales, C., and Vargas, C. 2011. Arqueologia subacuatica y tafonomia recientes avances en el studio de sitios finipleistocenicos sumergidos en la costa Pacifica de Chile central. Antipod. Rev. Antropol. Arqueol. Bogota. 13.201-225. Cliquet, D., Coutard, S., Clet.,M., Allix.J., Tessier,B., Lelong, F., Baltzer, A., Mear, Y., Poizot, E., Auguste, P., Alix, P., Olive, J., and Guesnon, J. 2011. The Middle Palaeolithic underwater site of La Mondrée, Normandy, France. P.11d, C., 1-129 in: Benjamin, J., Bonsall, C., Pickard, C., and Fischer, A. (ed). Submerged Prehistory. Oxbow Books. Oxford. ISBN 978-1-84217-418-0. 338pp. Clottes, J., and Courtin, J., 1994. The Cave beneath the sea. Harry N. Abrams. New York. 200 pp. Cohen, K.M., K. MacDonald, J.C.A. Joordens, W. Roebroeks, P.L. Gibbard.2011. Earliest occupation of north-west Europe: A coastal perspective. Quaternary International. Online: 10-11-2011 Doi:10.1016/j.quaint.2011.11.003. Erlandson, J.M. 2001. The archaeology of aquatic adaptations: paradigms for a new millennium. Journal of Archaeological Research. 9, 287-350. Evans, A.M., Flatman, J. C., and Flemming, N.C. 2014. Prehistoric Archaeology on the Continental Shelf: a Global Review. Springer, New York, London. 307pp. Faught, M.K. 2004. The Underwater Archaeology of Paleolandscapes, Apalachee Bay, Florida. American Antiquity 69, (2) 235-249. Fischer, A.1995. Man and the sea in the Mesolithic. Oxbow Monographs number 53, Oxbow Books. Oxford. Fischer, A.,. Richards, M., Olsen, J., Robinson, D.E., and Bennike, P., Kubiak-Martens, L. and Heinmeer, J. 2007. The composition of Mesolithic food evidence from the submerged settlement on the Argus Bank , Denmark. Acta Archaeologica, 78, 2. 163-178. Flemming, N.C. 1959. Underwater adventure in Apollonia. Geographical Magazine, v. 31, pp. 497-508. Flemming, N.C. 1962. Sunken cities and forgotten wrecks. p. 123-171 in: Oceans, edited by Deacon, G. E. R. Publ. Hamlyn, London, 297 pp. Flemming, N.C. 1964. Underwater survey of Apollonia; preliminary report. p. 168-178, in: Taylor, J. du Plat (ed). Marine Archaeology. Hutchinsons, London, 202 pp. Flemming, N.C.1968. Holocene earth movements and eustatic sea level change in the Peloponnese. Nature, London, 217, 1031-1032. Flemming, N.C. 1969. Archaeological evidence for eustatic change of sea level and earth movements in the Western Mediterranean in the last 2,000 years. Geol. Soc. Am. Special paper 109, 125 pp. Flemming, N.C.,1971 Cities in the Sea. Doubleday, New York, 222 pp. Flemming, N.C., and Webb, C.O. 1986. Tectonic and eustatic coastal changes during the last 10,000 years derived from archaeological data. Zeitschrift für Geomorphologie. December, Suppl – Bd.62, p.1 29. Flemming, N.C., 1998. Archaeological evidence for vertical tectonic movement on the continental shelf during the Palaeolithic, Neolithic and Bronze Age periods. In: Stewart, I S & Vita-Finzi, C (eds) Coastal Tectonics. Geological Society, London, Special Publications, 146, 129-146. Flemming, N.C. (ed). 2004. Submarine Prehistoric Archaeology of the North Sea, Council for British Archaeology. English Heritage. ISBN 1-902771-46-X. 141pp. York. Flemming, N.C. 2004. Submarine prehistoric archaeology of the Indian Continental shelf: A potential resource. Current Science, Indian Academy of Science, 89, No. 9.1225-1230. Gaffney, V., Thomson, K., and Fitch, S. (ed.) 2007. Mapping Doggerland: The Mesolithic Landscapes of the southern North Sea. Archaeopress. Oxford, ISBN 987 1 905739 14 131. Galili, E. and Nir, Y. 1993. The submerged pre-pottery Neolithic water well of Atlit-Yam, northern Israel and its palaeoenvironmental implications. The Holocene, 3, 265-270. Gallili, E., Weinstein-Evron, M., Hershkovitz, I., Gopher, A., Kislev, M., Lernau, O., Lolska-Horwitz, L., and Lernau, H. 1993. Atlit-Yam: A prehistoric site on the sea floor off the Israeli coast. Journal of Field Archaeology. 20, 133-157. Glimmerveen, J., Mol, D., and van der Plicht, H. 2006. The Pleistocene reindeer of the North Sea- initial palaeontological data and archaeological remarks. Quaternary International. 142-143. p. 242-246. Gusick, A. E. and Faught, M.K. 2011. Chapter 2: Prehistoric Archaeology Underwater: A Nascent Subdiscipline Critical to Understanding Early Coastal Occupations and Migration Routes. In Trekking the Shore: Changing Coastlines and the Antiquity of Coastal Settlement, Interdisciplinary Contributions to Archaeology, edited by Nuno Bicho, Jonathan Haws and Loren Davis. Springer. Harding, A., Cadogan, G., and Howell, R., 1969. Pavlopetri, an underwater Bronze Age town in Laconia. Annual of the British School at Athens, v.64. p.113-142. Harff, J., Lemke, W., Lampe, R., Lűth, F., Lubke, H., Meyer, M., Tauber, F., and Schmölcke, U. 2007. The Baltic Sea coast- A model of interrelations among geosphere, climate, and anthroposphere. Geol. Soc. Am. Special Paper 426. Hayashida, K 1993.. The archaeological materials from the Takashima seabed (Part II). Takashima Town cultural property research report. Educational Committee of Takashima Town, Nagasaki Prefecture. . 124pp. (in Japanese). Henderson, J. 2013. Beyond boundaries: Proceedings of the 3rd International Congress on Underwater Archaeology, IKUWA3. 9th to the 12th July 2008, London. Dr. Rudolf Habelt. Hijma, M.P, K.M. Cohen, W. Roebroeks, W.E. Westerhoff, F.S. Busschers. 2012. Pleistocene Rhine–Thames landscapes: geological background for hominin occupation of the southern North Sea region. Journal of Quaternary Science, 27, 17-32. DOI: 10.1002/jqs.1549. Hublin, J-J., D. Weston, P. Gunz, M. Richards, W. Roebroeks, J. Glimmerveen, L. Anthonis. 2009. Out of the North Sea: the Zeeland Ridges Neandertal. Journal of Human Evolution 57, 777-785. Doi:10.1016/j.jhevol.2009.09.001. Josenhans, H., Fedje, D., Pienitz, R., and Southon, J. 1997. Early humans and rapidly changing Holocene sea levels in the Queen Charlotte Islands, Hecate Strait, British Columbia, Canada. Science, v.277, 71-74. Lambeck, K., Purcell, A., Flemming, N.C., Bailey, G.N., and Vita-Finzi C. 2011. Sea level and shoreline reconstructions for the Red sea during the last glacial cycle and implications for hominin migration. Quaternary Science Reviews. 30. no-25-26, 3542-3574. Louwe Kooijmans, L.P.,1970-71. Mesolithic bone and antler implements from the North Sea and from the Netherlands. Ber. Rijksdienst oudheidk. bodemonderz. 22, 21. Masters, P.M., and Flemming, N.C. (ed.) 1983. Quaternary Coastlines and Marine Archaeology. Academic Press, London and New York, 641. Momber, G., and Campbell, C. 2005. Stone Age Stove under the Solent: Int. J. Naut. Arch. 34,2 148-9. Pedersen, L.D., Fischer, A., and Aaby, B. 1997. The Danish Storaebaelt since the Ice Age: Man, Sea and Forest. Storebaelt Publications. Scuvée, F., and Verague, J. 1978. Le gisement sous-marine du Paléolithique Moyen de l&apos;anse de la Mondrée à Fermanville (Manche). Ministère des Affaires Culturelles, Autorisation No.001740, 1971, CEHP- Littus, BP.306, Cherbourg 50104, 121pp. + plates. Skaarup, J. 1980. Undersoisk stenalder. Skilk 1. pp. 3-8. Stright, M.J. 1990. Archaeological sites on the North American continental shelf. Geol. Soc. Am. Centennial Special Volume 4, 439-465. Stringer, C. 2006. Homo Britannicus: the incredible story of human life in Britain. Allen Lane, London, 319 pages. ISBN-13: 978-0-713-99795-8. TRC Environmental Corporation. 2012. Inventory and analysis of archaeological site occurrence on the Atlantic outer continental shelf. U.S. Dept. of the Interior, Bureau of Ocean Energy, Gulf of Mexico OCS Region, New Orleans, LA. OCS Study BOEM 2012-008. 324 pp. Tsimplis, M., Spada, G, Marcos, M, and Flemming, N.C., 2011. Multi-decadal sea level trends and land movements in the Mediterranean Sea with estimates of factors perturbing tide gauge data and cumulative uncertainties. Global and Planetary Change. doi: 10.1016/j.gloplacha. 76. p.63-76. Werz, B. and Flemming, N.C. 2001. Discovery in Table Bay of the oldest handaxes yet found underwater demonstrates preservation of hominid artefacts on the continental shelf. South African Journal of Science 97, 183–185. Wessex Archaeology, 2011. Seabed Prehistory: Site Evaluation Techniques (Area 240) Synthesis. 71 pages + maps.